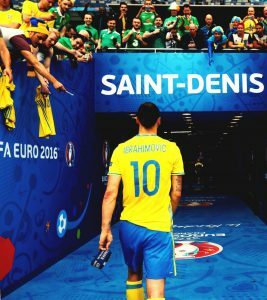 The final whistle of Swede ‘Superman’ Zlatan Ibrahimovic’s last game for his country against Belgium signaled the end of what has been a truly engaging and pulsating group stage of the 2016 European Championships in France. Radja Naingolan brought an end to the Swede’s ambition to clinch pure European footballing heaven. That signals the start of the business end of the competition. Some teams strolled through, some survivors by the width of a piece of paper and, some by pure audacity to dare and punch above their weight. How’s that for David and Goliath? Saturday the 25th of June will kick off the Round of 16 knockout stage. Pole captain Robert Lewandowski will lead his side against ‘the Alpine Messi’ (Xherdan Shaqiri) and his fellow Swiss teammates for the first game of this phase of the competition in Saint-Etienne. Hours later, Chris Coleman will be once more looking to the heroics of Gareth Bale to edge his side past fellow British, Northern Ireland. Bale’s got three in three games, can he carry his side all the way? 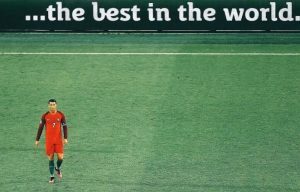 Extraterrestrial superstar, Cristiano Ronaldo will be thanking the new UEFA qualification format as he hopes to unsettle Ante Čačić’s dark horses Croatia as the night settles in France. 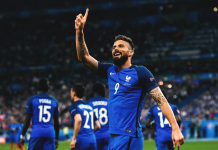 Hosts France will kick-off Sunday’s action as they face never-say-die Northern Ireland. Dimitri Payet, who’s lit up this tournament already, will be praying all the electricity blitzes Les Bleus all the way to the final in Saint-Denis. Turk-born Mannschaft Mesut Özil will be tapping into his inner Picasso to advance to the quarter-final at the expense of warriors Slovakia. Hours into the night skies, Bernd Stock’s Hungary will be looking to cause an upset against Marc Wilmots’ Belgian charges. Monday will bring an end to the first part of the knockout stage: with two mouth-watering ties. 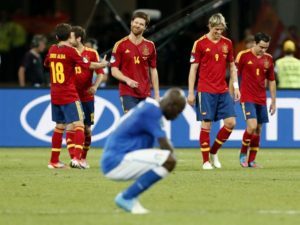 Undoubtedly the tie of the round, we’ll see 2012’s finalists Italy come up once more against the Azzurri in Saint-Denis. The Allianz Riviera in Nice, will witness the last of the games: European underachievers England and minnows Iceland. If you ever think you’ve got too much to handle in terms of entertainment, think again. What a tournament this has been so far, and oh what drama waits us ahead as we go all again tomorrow. Get your Pizzas and your smoothies ladies and gentlemen, sit back in your armchairs and relish what a knockout stage this will be.